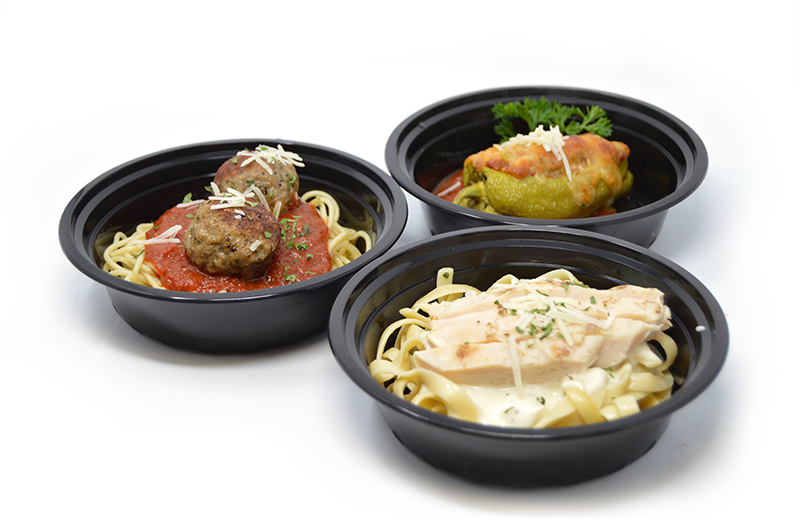 Delicious Meals Ready To Heat & Eat! 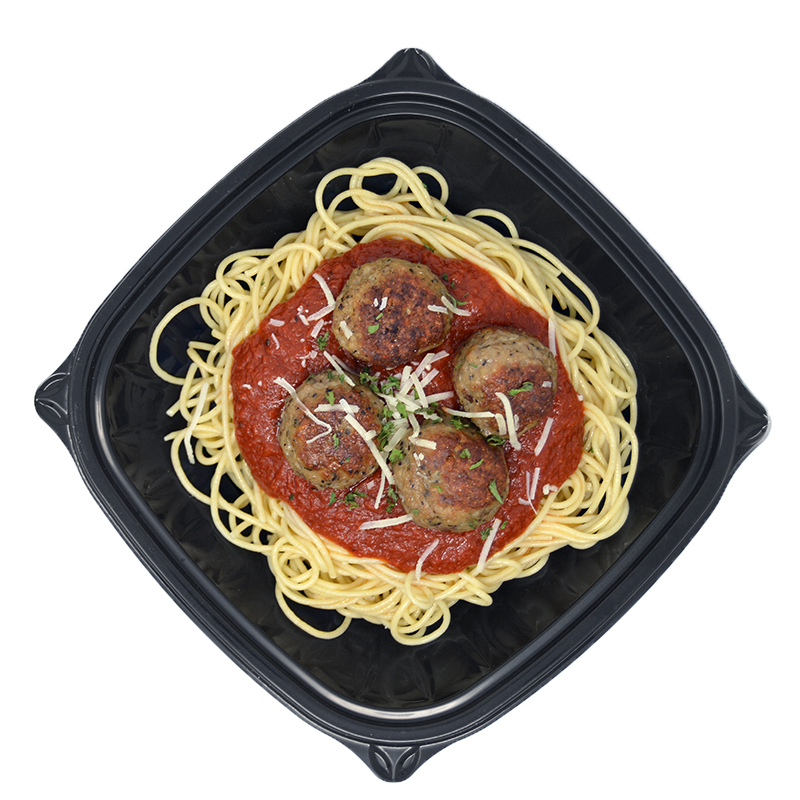 Freshly cooked spaghetti topped with our famous homemade spaghetti sauce and four homemade meatballs and parmesan cheese. 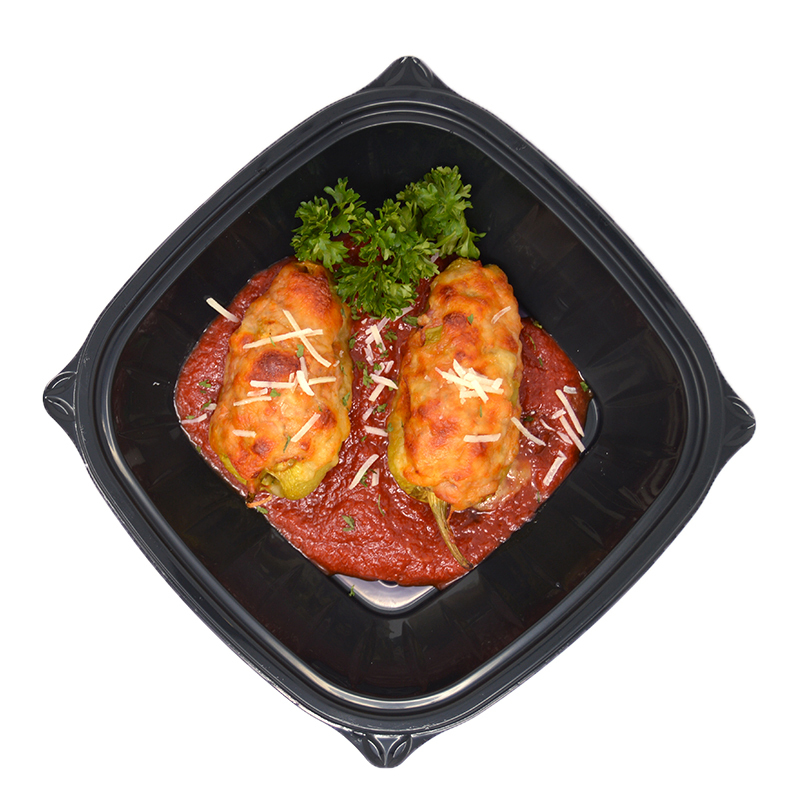 Simple delicious goodness. 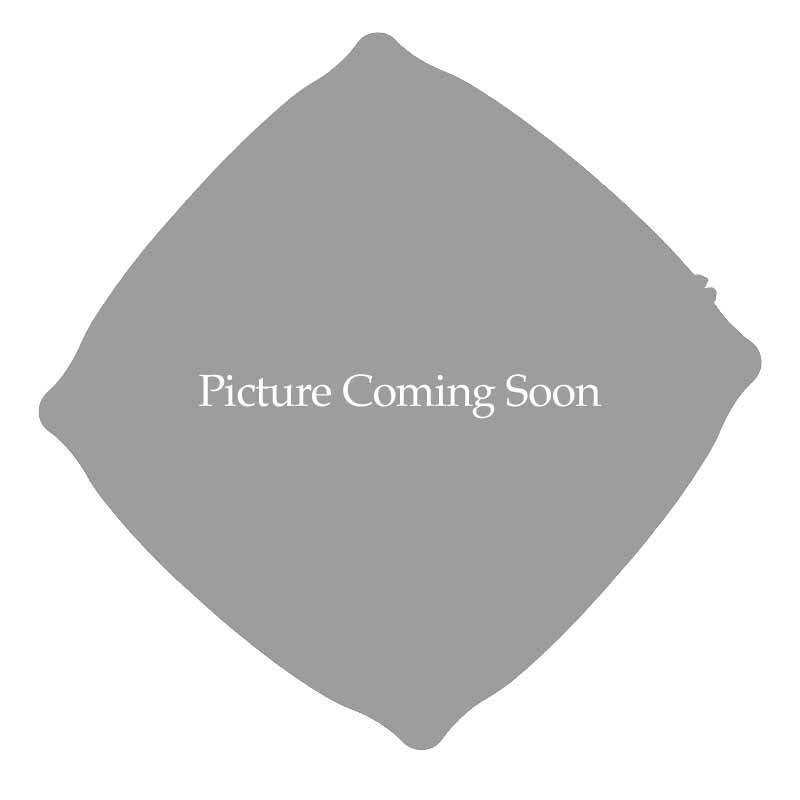 Our famous fresh sausage, pan seared until golden brown then topped with Mancini Sweet peppers and onions. 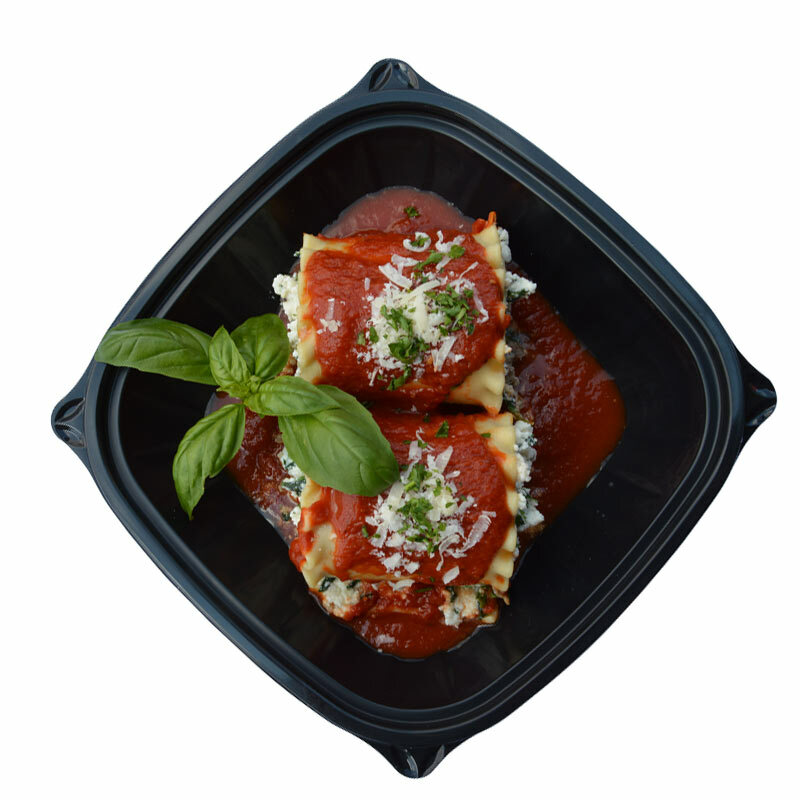 Lasagna noodles filled with our special blend of Ricotta and Romano Cheese, Chopped Spinach and Spices. 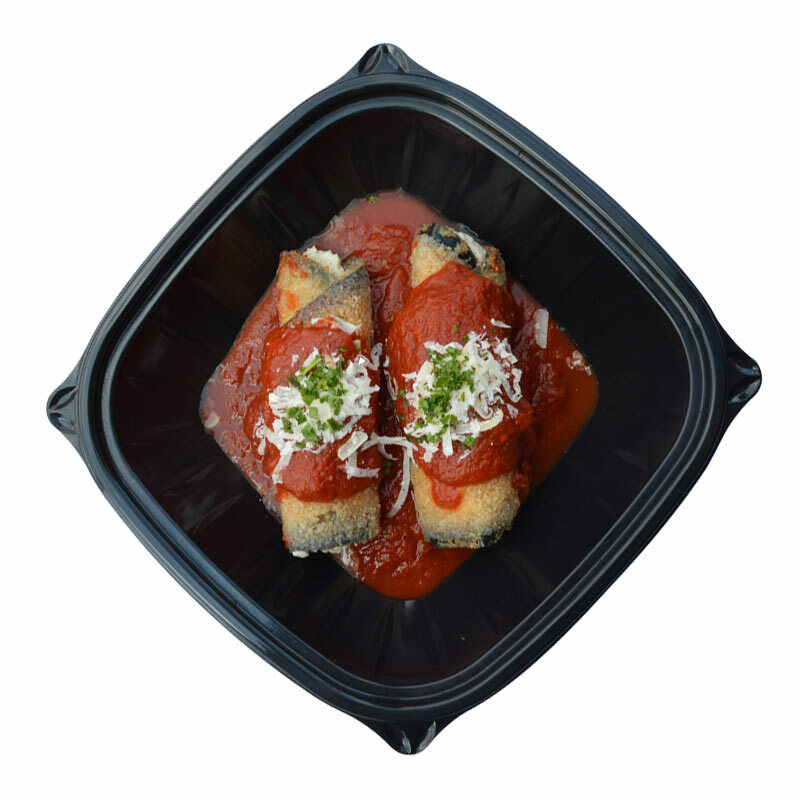 Tender eggplant slices breaded and fried then rolled with a creamy blend of Ricotta and Romano Cheese topped with our famous Spaghetti Sauce. 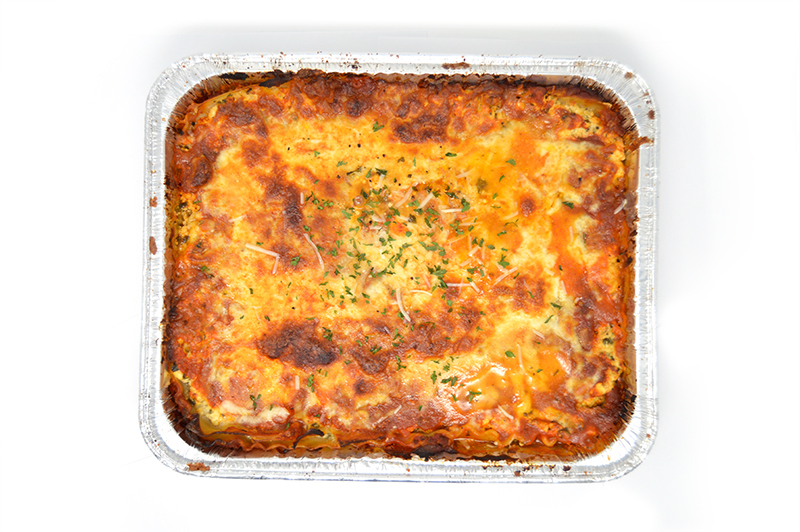 lasagna noodles layered with our special blend of Ricotta and Romano Cheese, Chopped Spinach and Spices. 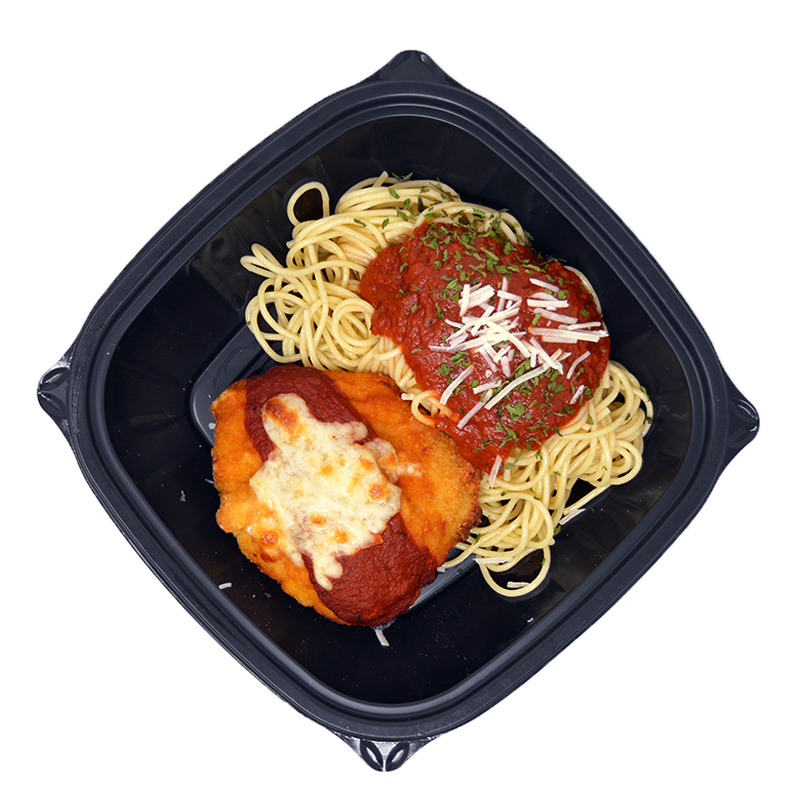 Tender premium breaded chicken breast topped with our famous spaghetti sauce and melted mozzarella cheese served with a side of delicious spaghetti. 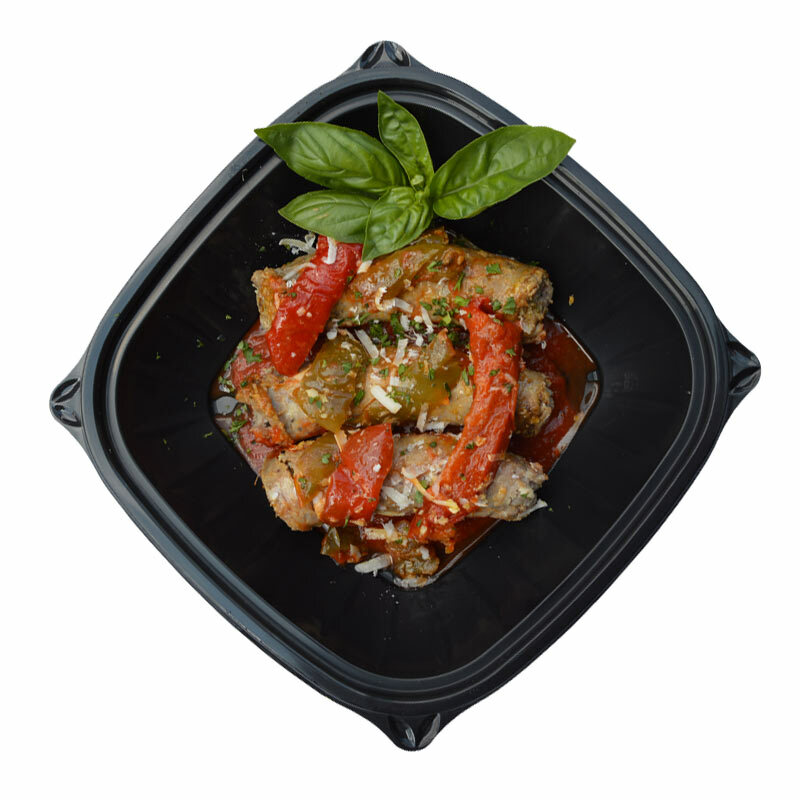 We use our famous mild Italian sausage, a blend of 4 premium chesses and generously stuff fresh mild cubanelle peppers than top with more cheese and bake to delicious perfection. We start by roasting fresh spaghetti squash seasoned with salt pepper and parmesan cheese, then top it with grilled chicken breast or new chicken meatballs and our homemade sauces. 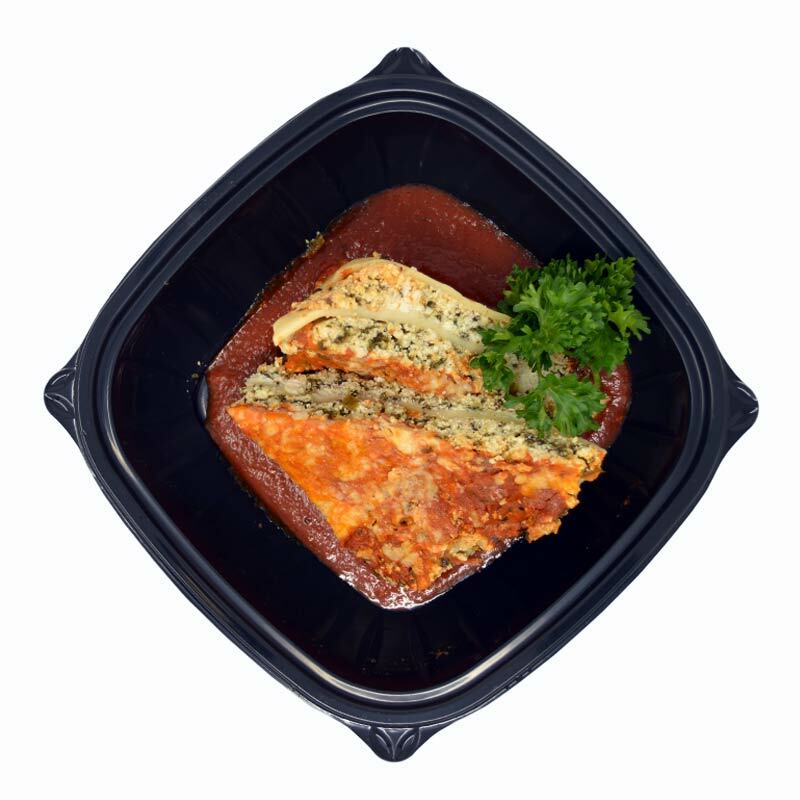 Freshly cooked lasagna noodles layered with our fresh ricotta, mozzarella and Romano cheeses, spinach and our homemade sauce. 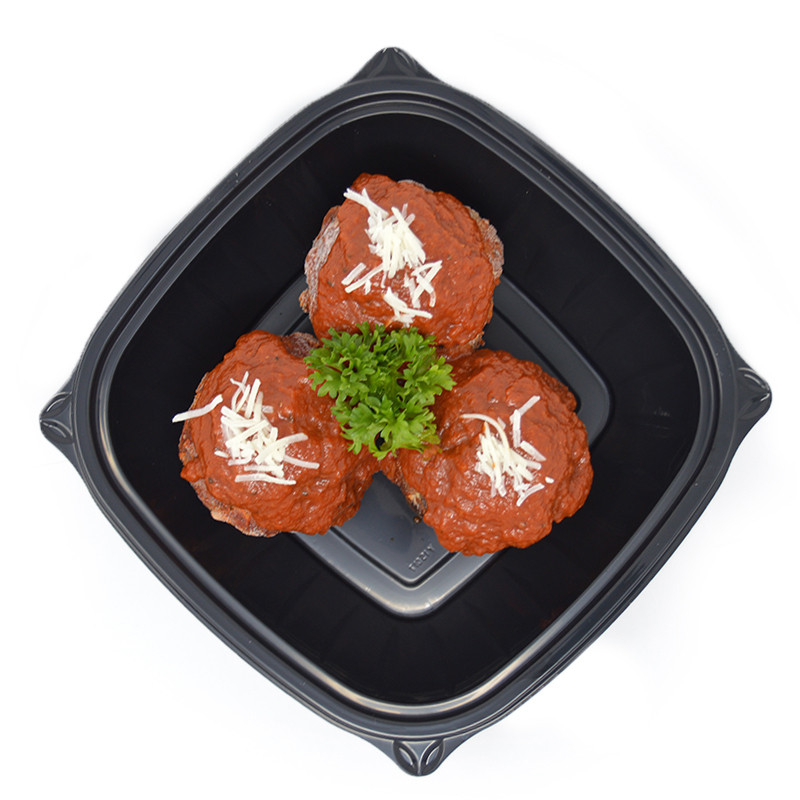 Available READY to Bake…Or Fully Baked, simple heat and eat. 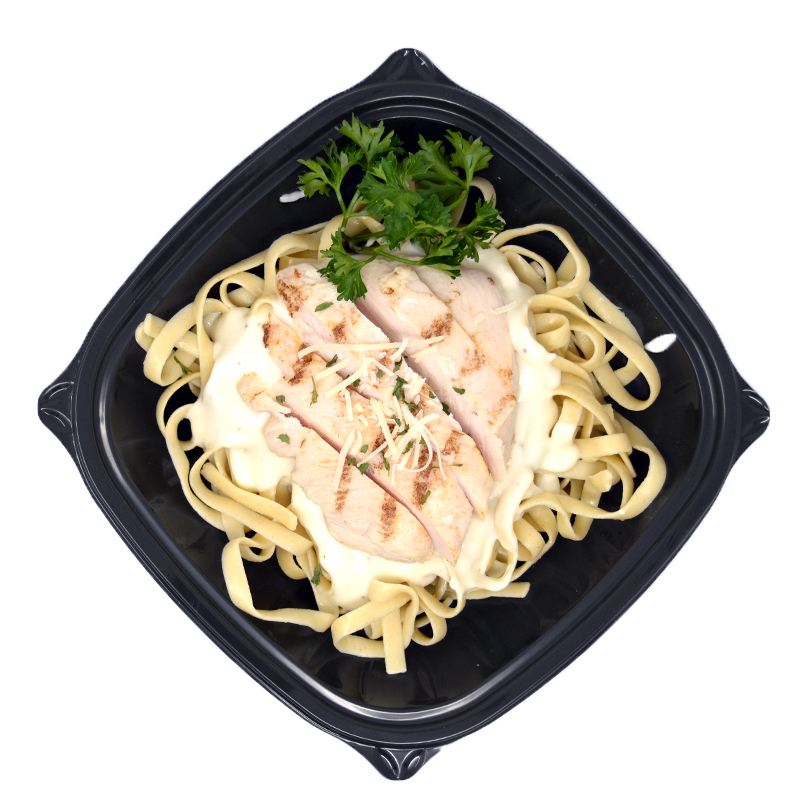 Smaller portion meals available, great for a fresh delicious lunch or for those with smaller appetites.